Today I gave my terrace a Zen makeover and I love it!!! 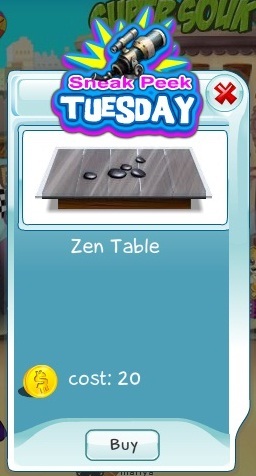 Check out the awesome Zen Table that we're offering today! I think its my favorite piece of furniture so far! Take advantage of this sneak peek preview and get the table today, because it won't be available again for a whole month! You can find a nice place for it in your home and show us a picture afterwards.